The Daytona Beach area is a great place to visit, relax, meet or play all year long. We love our visitors, and we've compiled information on just about everything you've ever wanted to know about the area -- from where to eat, what to do, how to get here and more! Why go or stay anywhere else? 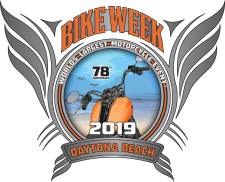 The Daytona Beach area is an affordable, fun place that's perfect for enjoying family, friends and a whole lot more while creating great memories that will last a lifetime. Filled with family-style recreation, attractions, and entertainment, the Daytona Beach area offers 23 miles of beaches and plenty of fun. The communities that comprise the Daytona Beach area include Ormond-By-The-Sea, Ormond Beach, Daytona Beach, Daytona Beach Shores, Wilbur-By-The-Sea, Ponce Inlet, Holly Hill and South Daytona. The beach itself has an ocean park atmosphere, with friendly beach vendors offering everything from hot dogs and sodas to boogie boards, chairs, umbrellas, and bicycles. Beyond the beach, visitors will find great downtown and oceanfront shopping, dining and entertainment options, plus world-class festivals and events. From Daytona Lagoon waterpark and the Museum of Arts & Sciences to Daytona International Speedway's All-Access Tours and the Zoom-Air ziplines at scenic Tuscawilla Park, we've got a wide range of fun activities. Add in historical attractions, outdoor treasures, trendy new eateries, and nightlife, and there's never a shortage of things to explore. At the turn of the 20th century, Ormond Beach garnered the reputation as a summer playground for the rich and famous. Industrialists such as railroad magnate Henry Flagler and oil industry multi-millionaire John D. Rockefeller visited the area often, helping to develop the town's character. Today, Ormond Beach is known as the "Birthplace of Speed" and celebrates annual events that reenact the early days of racing on the beach. Ormond-by-the-Sea is a quaint residential area featuring parks, a traffic-free beach and a variety of great restaurants. Ponce Inlet, a quaint "Old Florida" town, offers a sampling of some of the area's best waterfront restaurants and chartered fishing excursions, as well as a marine science center, a casino boat that sails daily and the tallest lighthouse in the state. The small neighboring seaside community of Wilber-By-The-Sea features quiet beaches and a casual riverfront dining. Connected to the beachside by the Dunlawton Bridge, the city of Port Orange is proud of its scenic riverfront, historic treasures, challenging golf courses and Sugar Mill Botanical Gardens. Just south of Daytona Beach on the mainland, South Daytona is nestled between U.S. 1 and the Intracoastal Waterway and features riverfront and lakefront parks, an ice skating arena and the Living Legends Auto Racing Museum. Known as "The City with a Heart", Holly Hill boasts one of the most beautiful views of the Halifax River along scenic Riverside Drive. Enjoy riverfront parks galore that feature boat ramps, fishing piers and plenty of covered picnic tables. The Riviera Oaks Dog Park is also in Holly Hill. Just west of the Daytona Beach area you'll find the West Volusia area, including historic downtown DeLand, Deltona, and a cluster of small towns, natural springs and nature preserves. The area's three state parks, freshwater springs, national wildlife refuge and new Florida Scenic Highway designation offer endless outdoor activities and amazing encounters with nature. Click here for more information. A short drive south of the Daytona Beach area, the New Smyrna Beach area offers visitors the relaxing sands and sights of charming 'Old Florida.' Featuring historic architecture, art galleries, fishing excursions, shops and water views, the area has something for everyone. Click here to learn more.